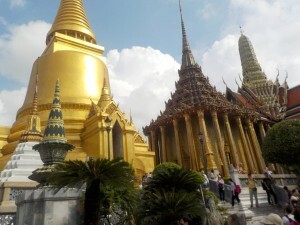 Asia 2016: Bangkok – Do your dream! 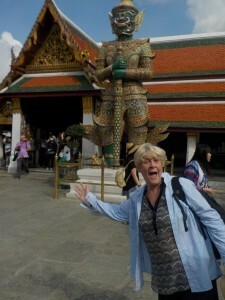 The flight into Bangkok was smooth and the pre arranged pick up was waiting. 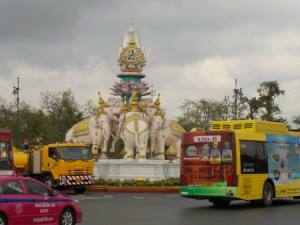 The hotel pickups are a lot more than taxis but just take all the hassle away at a new city. The hotel was where we expected and was quite reasonable for the money with a great breakfast, location and team. 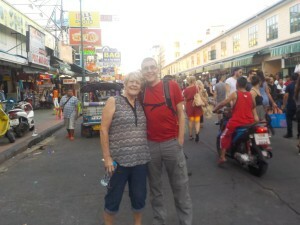 Within walking distance of Khao san road, the usual hawkers and vendors were there along with offers of pingpong shows. Not much has changed! 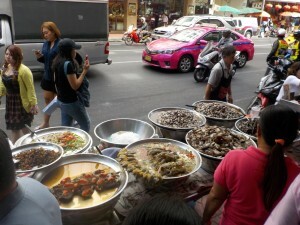 Street food seems the same price as 5 years ago. 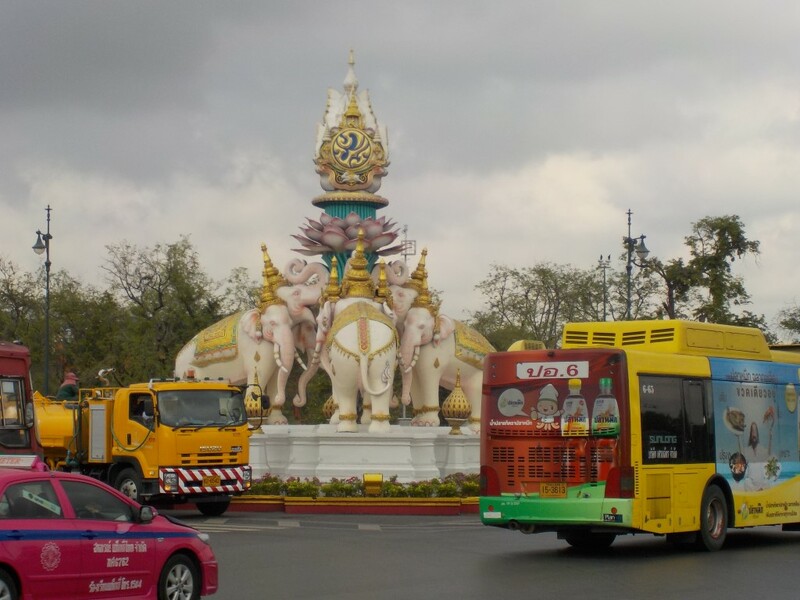 The only noticeable change appears to be a huge reduction in the number of “taxi!” or “tuktuk!” calls – a few yes but not as bad as previously. 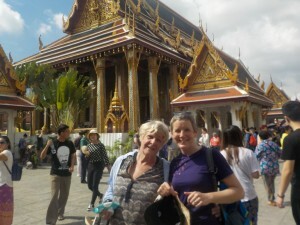 With dad out of action and mum in reasonable health we walked her to the Grand Palace for a tour. We’ve been before but mum seemed impressed with everything except the crowds – it was manic! Really far too busy and too many coachloads of tourists, mainly Japanese who barged their way though everyone. We were cautious about the heat and lack of airflow so did a quick tour and out for ice-cream and cold water and then a taxi back. 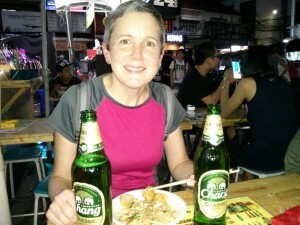 Managed to introduce the parents to some street food which went down well but was only just touching the surface of what Thailand has to offer. We’d pre booked train tickets from Ayutthaya to Chiang Mai so had to collect those and took the opportunity to explore Chinatown and its weird & wonderful shops. But nothing we’ve not seen before and Bangkok is always rather busy and whilst it is a must see city, most isn’t worth a tourist visit twice. Before we fly home we will stay in a part we’ve not explored before so that may be interesting. From here, we go to Kanchanaburi where we expected to go in a minivan or car, but now its just us we plan to go the way we tried last time (but failed due to floods), which is walk-boat-walk-train-walk…. Bit more local authentic route…..